What do I need to be able to use this document? 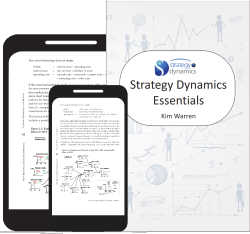 Is Strategy Dynamics Essentials viewable on iPad? The version without comments enabled is recommended. The commenting features used in our document are not compatible with PDF readers for the iPad (information as at August 2010). Can I read "Essentials" on my Android Tablet? Adobe has a free reader for Android - https://market.android.com/details?id=com.adobe.reader&hl=en. We have not tested on Android and think it unlikely that annotations are supported so advise selecting the version without commenting enabled for use on Android.